You receive an envelope in the mail containing a nice, shiny plastic card. Your eyes widen and glisten, while images of shoes, purses and designer dresses float through your head. You imagine all of the beautiful and expensive things that you could buy. You look at your credit limit, and think to yourself, “I’m rich!”. 3 months later another envelope arrives, this time with no shiny plastic card in it, instead it’s a bill. Thoughts arise in your head, “Did I really spend that much?” “I only swiped the card a few times?” “How will I pay all of this back?” These are common questions and experiences that many college students, including myself, and adults have faced time and time again. We say that this will be the last time we use the card and promise ourselves to only use cash from now on. But then that last minute emergency arises or that must have item goes on sale and before you know it you are hundreds, sometimes even thousands of dollars in debt and must succumb to the endless world of minimum payments and bill collector calls. For many of us the word “debt” is a scary word. We think being in debt is only something irresponsible people do. Quite the contrary, remember it is the credit cards company’s job to sell to us the dream of “no cash, no problem . . . pay later”. We all fall into this trap. What we don’t always think about is the, “pay later” part, includes that little word called “interest”. Interest is the fee on top of the amount that you already owe on your card, which is provided to the bank for “loaning” you money. Interest rates can vary from reasonably low to extremely high. So is it possible to become debt free? Of course it is! Here are some tips & tricks to help start you on your journey to becoming debt free! The first step in becoming debt free seems like an obvious step, right? Stop spending! However, this seemingly simple concept is much easier said than done. I know it’s hard but the first step in becoming debt free is to cut off the source of the very thing that got you there in the first place. Cut up any credit cards that you have in an attempt to stop using them. Find out your overall monthly income and budget out your weekly expenses for a month. Include essentials like groceries, gas or metro card, bills, and any extras for activities. Post this sheet in a place where you can refer to it when you get the urge to spend unnecessarily. This will help in reducing your cost to spending ratio and help you to become more financially knowledgeable. Work out a budget plan for yourself and give yourself a “realistic” timeline, based on your income on when you will have your debt paid off. Make sure to account for interest rates when calculating. Your goal at first can be small but that’s ok, you can work up to a bigger one. For example, you may start off with paying $25 on a credit card each pay period and then increase to $50. Double up on payments. This is a great way to get to your end goal faster! Don’t just pay minimums. Credit card companies love to trap you this way and keep you paying on the card for years. If you can, always try to pay higher than the minimum amount required. Sign up for automatic payments. This is great because your payments are deducted straight from your account and you don’t ever have to see it. 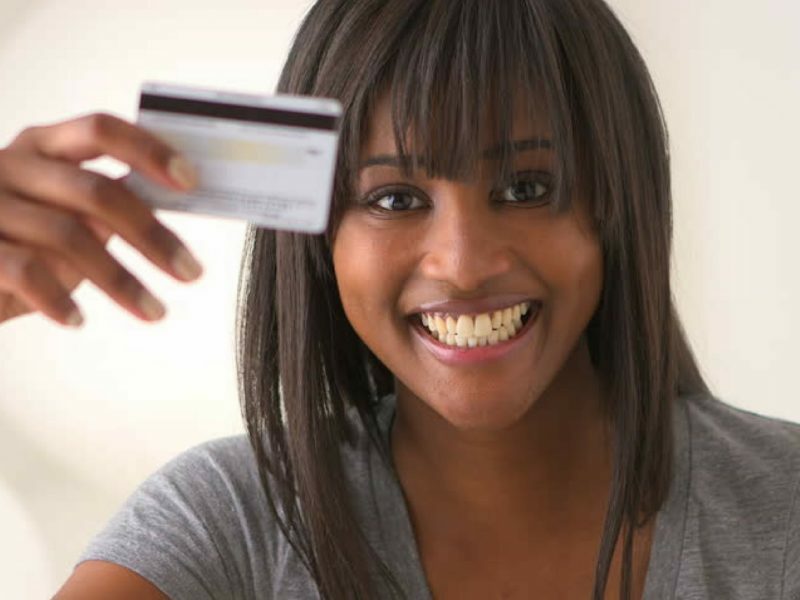 Once your credit card is fully paid off, try to avoid getting another. But if you are like me and like to keep a credit for emergencies, then only spend what you can pay right off. Lower your limit. Credit card companies love to give college students high limits, because let’s face it, they know that most likely we will spend it. Lower your limit to a reasonable amount, that way if you overspend, it will be an amount that you can handle and are comfortable paying off. It will not be easy in the beginning, but trust me it will “pay off” in the end! We would love to hear from you! These are just a few tips and suggestions that have worked for me over the years for me. Please feel free to list any additional tips and tricks that have worked for you. Tired of Feeling Sluggish and Blue? 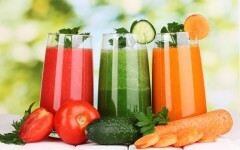 Re-Energize this Spring with a Simple Detox Diet!